Nearly all our interior designers here at The Home Studio work from home to some degree. 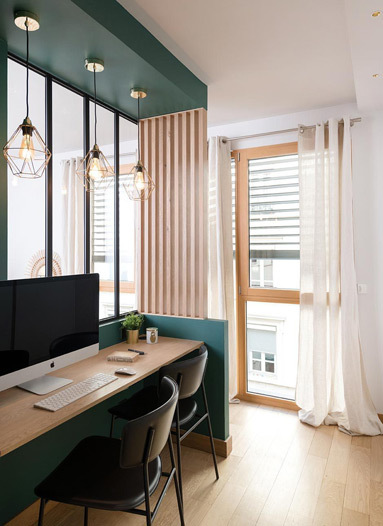 Working from home is a global trend and as a result more people are incorporating office spaces into their homes – and not merely as an afterthought. When it comes to designing and decorating a home office, you have all the opportunity to really make the space reflect your personal style. 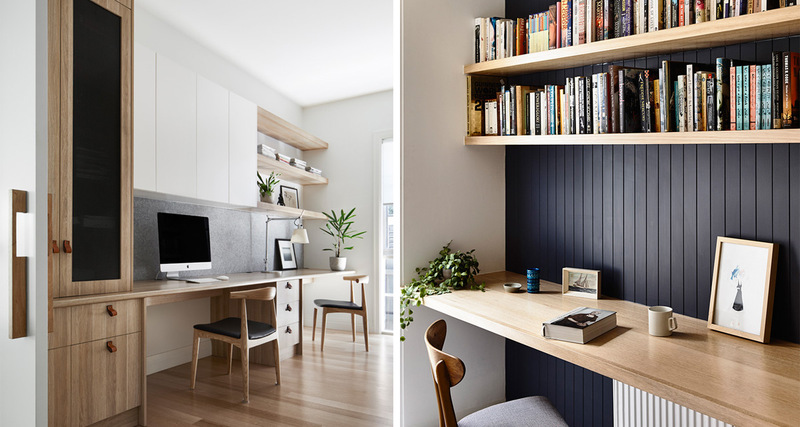 These four home offices are all different in style, but they all have great space planning and display ideas. 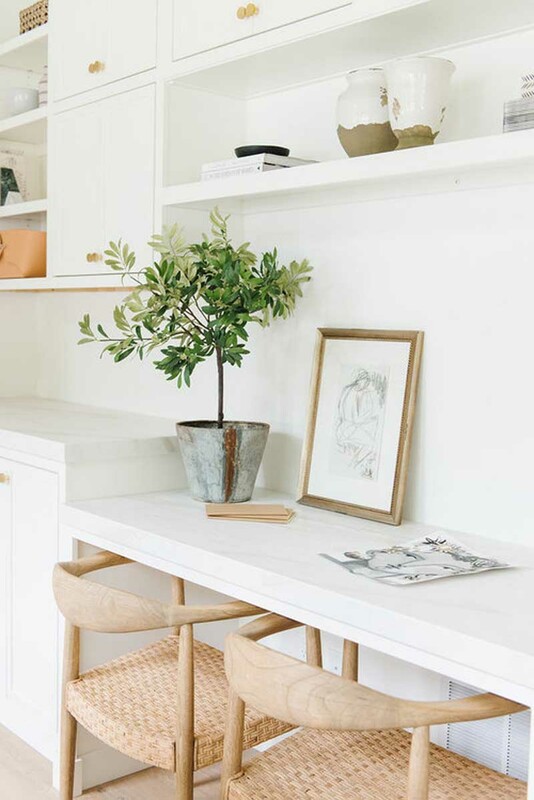 We love this white and bright home office. The central table is ideal for being able to spread out paper work, materials, magazines – whatever you need it for – without crowding the immediate area around your computer. 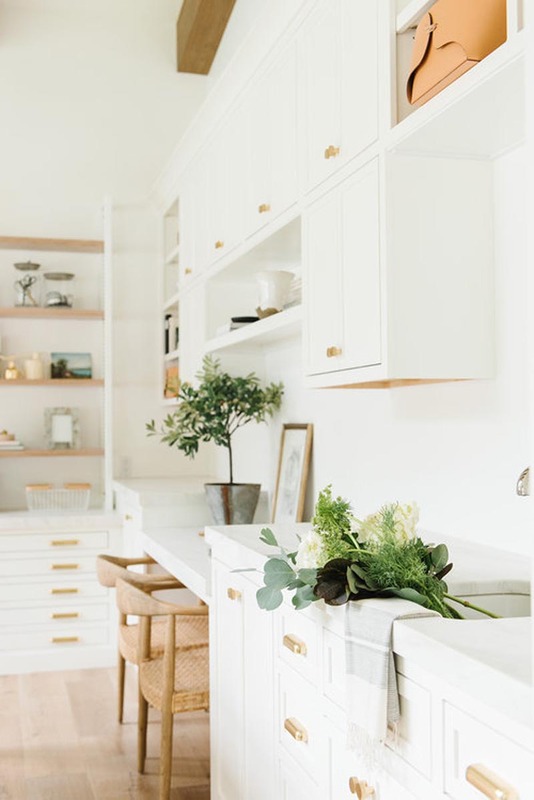 The lower cabinets and open shelving provide ample storage and the crowd pleasing all white palette with natural accents makes for a wonderful office setting. 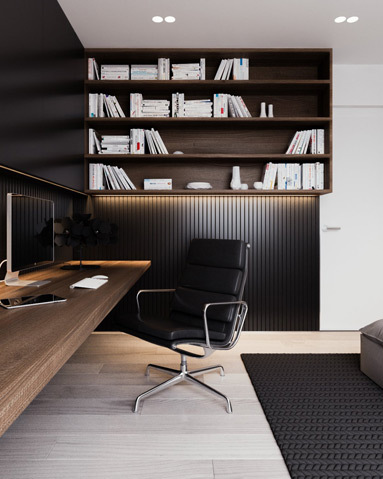 The home office below makes clever use of the double volume vertical wall space for plenty of storage and display. 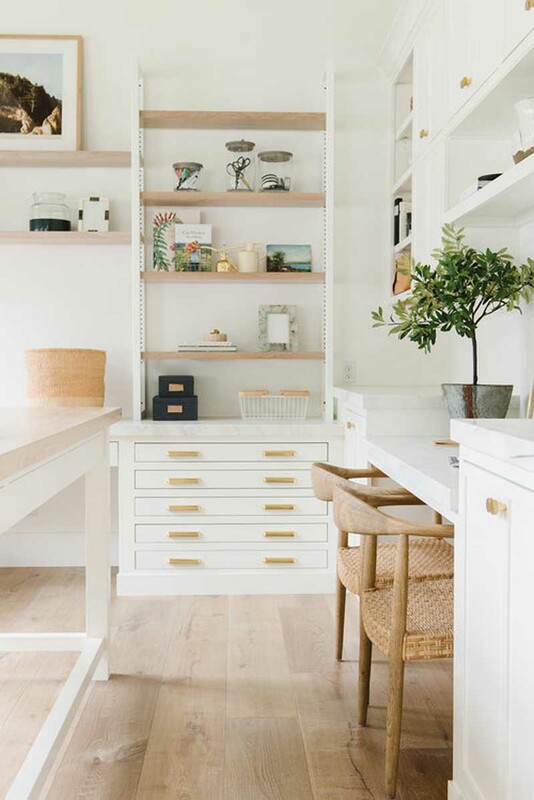 Having all the storage along one wall also allows for a clutter-free workspace opposite. 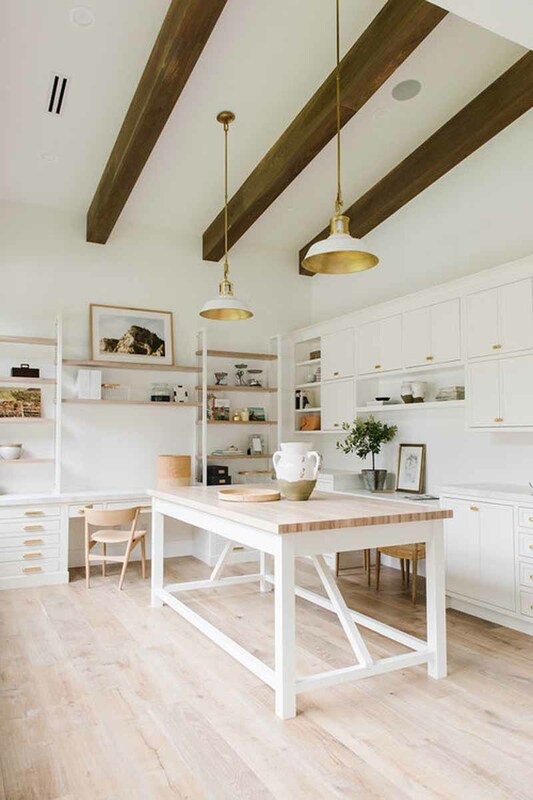 A home office does not necessarily have to occupy its own room. 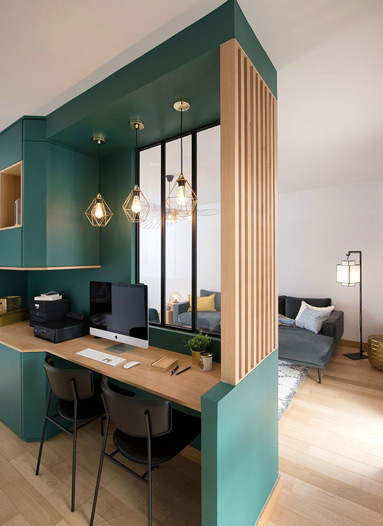 It can also form part of a larger space and works extremely well if separated from other living areas by a wall or screen as done in the home office below. 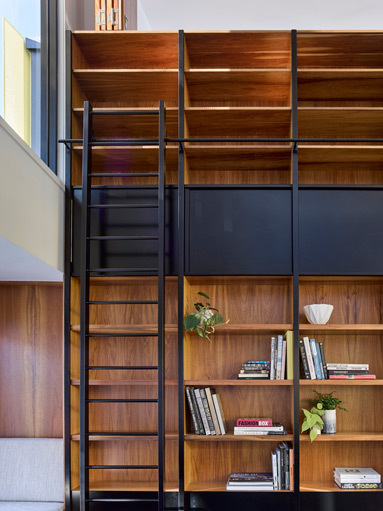 The glass and wooden screen allows the light to flow through the office but also provides an element of privacy and seclusion from the living area. 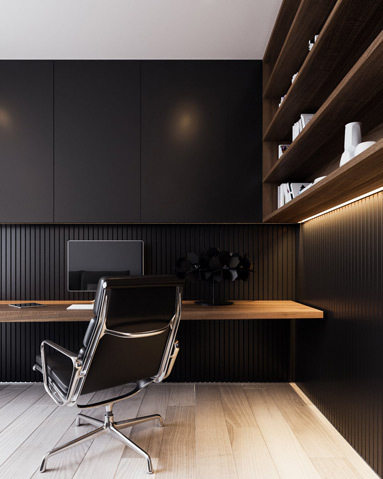 A black office can have a more masculine feel and works beautifully when paired with light accents, such as the light wooden floor and white ceiling. Black is a very calming and stimulating colour when used in a room with plenty of natural light.